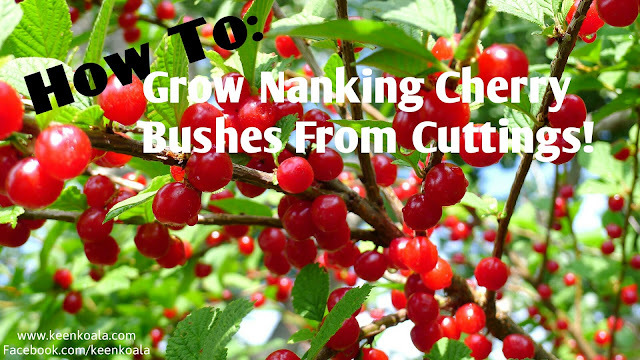 Nanking cherry bushes are simply awesome. They have beautiful flowers that turn into delicious red cherries. It just makes you want to have more and more Nanking cherry bushes! 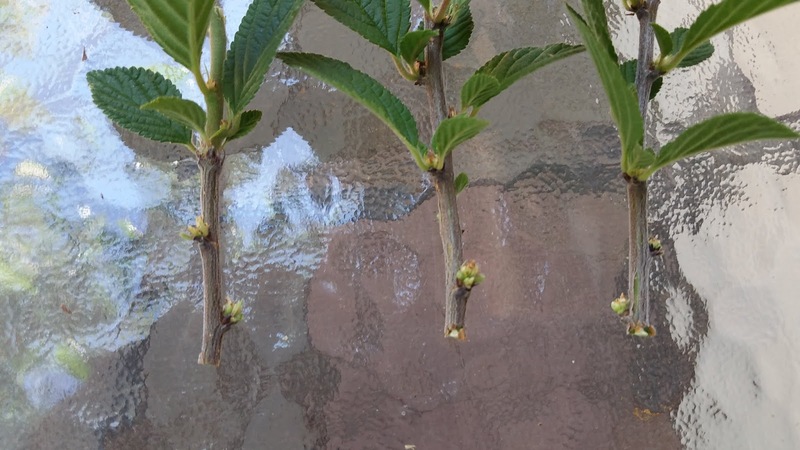 And you can, with this simple propagation method. *You might be wondering what is rooting hormone? Well, it's a hormone that encourages plants to make roots! It is widely available at garden centers and even hardware stores. It will pay for itself after the first use and one bottle will last for years. I use it numerous times every month. 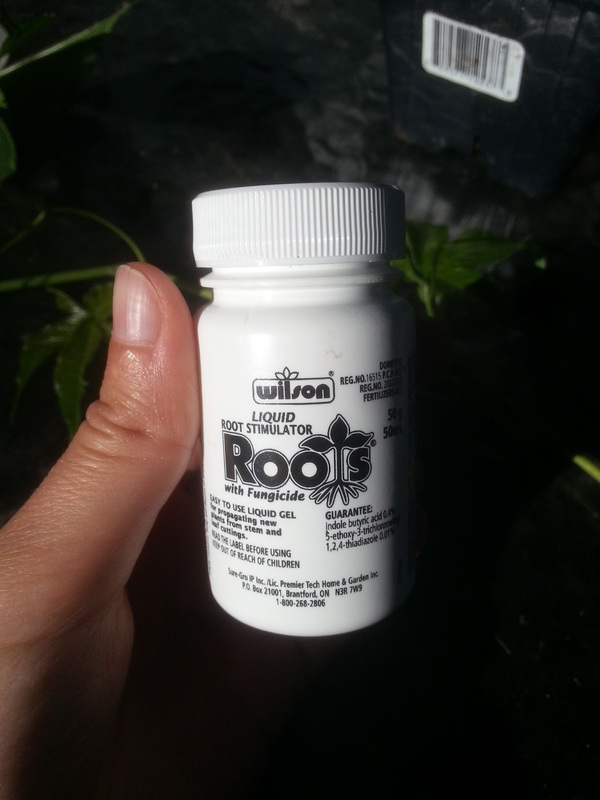 If you can't find rooting hormone to purchase locally, you can buy it on Amazon by clicking HERE(Amazon Affiliate Link). Now, let's do some propagating. 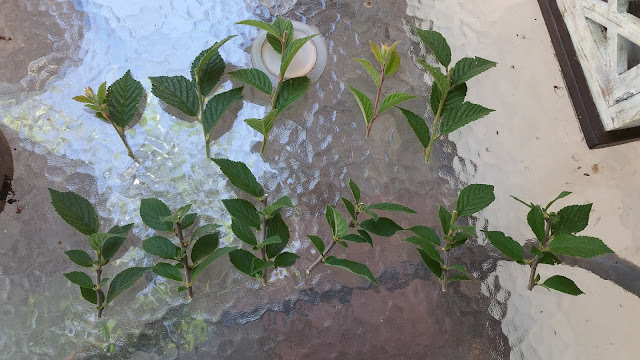 Head over to your Nanking bush and take a couple of branch cuttings. Ideally you want to get last year's growth. If you look at the bark, it will be brown but not dark brown like the older wood and not green like new growth. 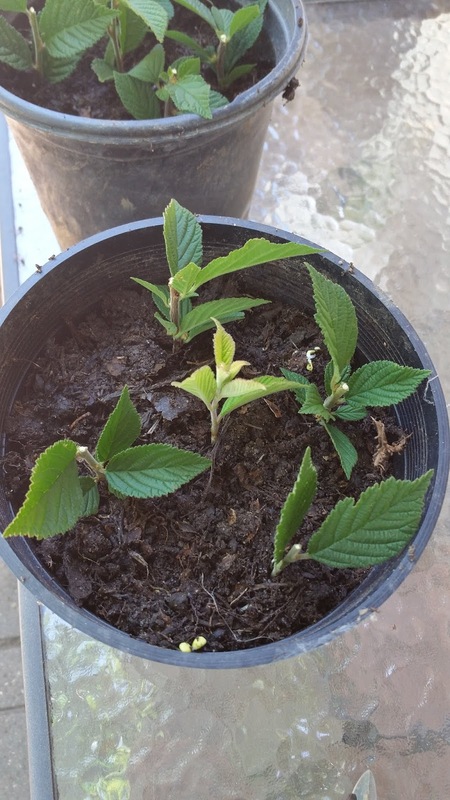 After you have taken your cuttings, head over to your potting table. And cut each branch into sections. Each section should have 5 or 6 leaves on it. 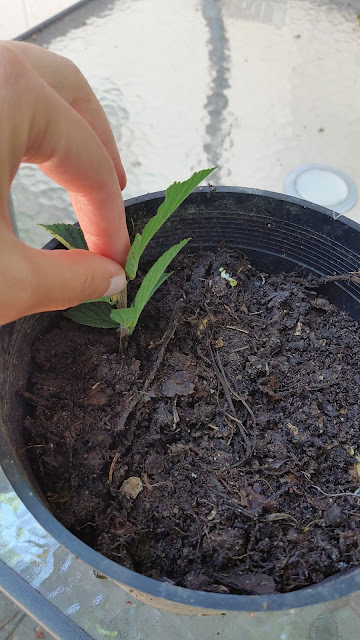 Now, you want to carefully pinch off the bottom 2-3 leaves on each piece. This will expose the nodes below. This is where the roots will grow out of. Now take each piece and dip the exposed node ends into your rooting hormone. 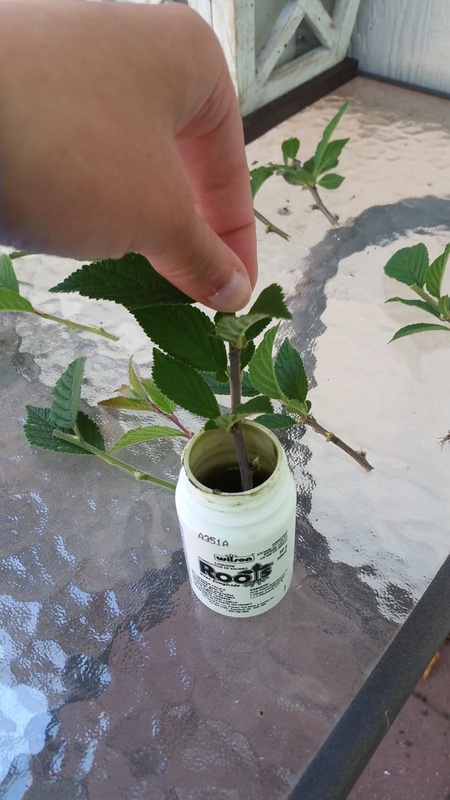 Plant each piece into your pot by inserting it about 1 inch into the soil, leaving a few inches of space in between each plant. I always like to plant numerous cuttings as my success rates are usually around 66% or 2/3 of my cuttings successfully establish roots. If you have a spot in your garden already chosen, you can also plant them straight into the ground. 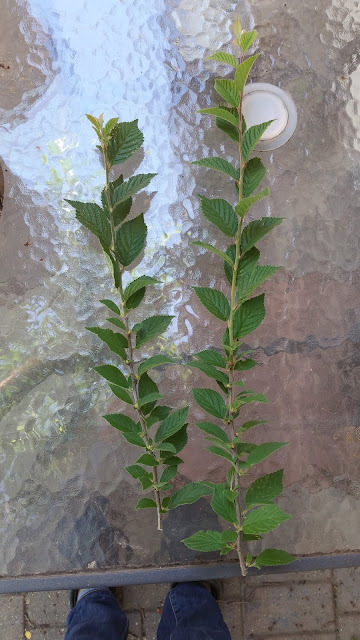 Wait half an hour or so, and then water your cuttings. Continue to water them daily until the roots have a chance to establish. Once established, you can give these new plants to friends or plant them in your own garden. If you enjoyed this tutorial, please like keen koala on Facebook by clicking HERE!